Written in easy-to-understand language, this important text provides a systematic and commonsense approach to developing instruments for data collection and analysis. 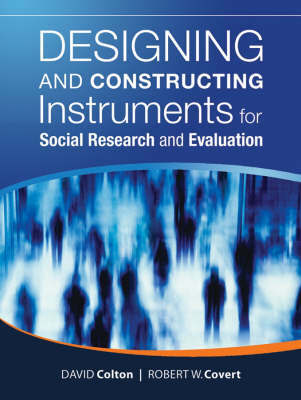 This book can be used by both those who are developing instruments for the first time and those who want to hone their skills, including students, agency personnel, program managers, and researchers. This book provides a thorough presentation of instrument construction, from conception to development and pre-testing of items, formatting the instrument, administration, and, finally, data management and presentation of the findings. Throughout the book, the authors emphasize how to create an instrument that will produce trustworthy and accurate data. To that end they have included guidelines for reviewing and revising the questionnaire to enhance validity and reliability. They also show how to work effectively with stakeholders such as instruments designers, decision-makers, agency personnel, clients, and raters or respondents.